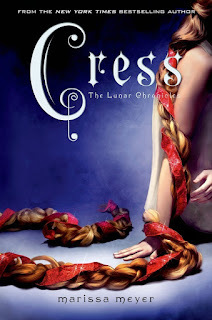 In the third installment of the Lunar chronicles, Cress, having risked everything to warn Cinder of Queen Levana's evil plan, has a slight problem. She's been imprisoned on a satellite since childhood and has only ever had her netscreens as company. All that screen time has made Cress a great hacker. Unfortunately, she's just received orders from Levana to track down Cinder and her handsome accomplice. 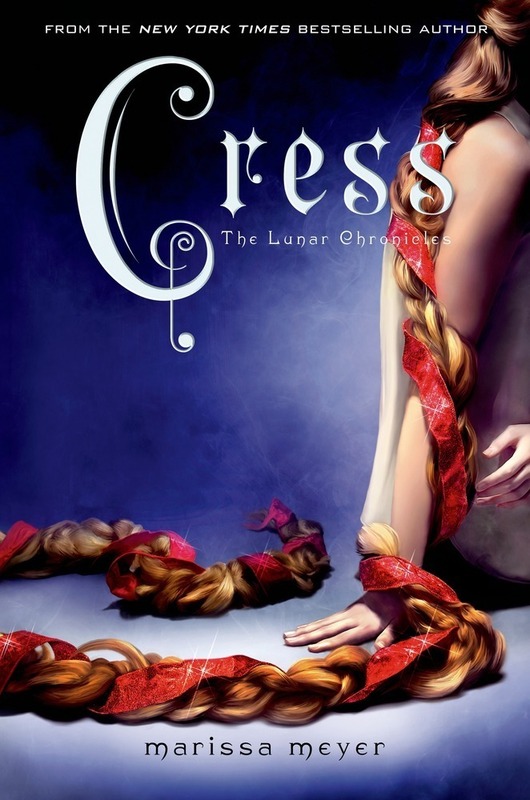 Cress had the very unfortunate luck of being one of the books I got stuck on in my February book slump. It was no fault of the book, really, because it's great. I was just not feeling reading at all, so it took me ten days to read it. That's a long time, for me. Cress starts with it's namesake, floating around space on a satellite. Finally, we get to see things from this character's perspective, which we've been teased with since book one. And guess what? She is adorable. She pretends she's a character in a movie when she needs to hold on to hope or do something that scares her. She fantasizes about people she doesn't know and what could be (#RealFangirl). She is sweet, brave and I just loved her! And Thorne and Cress together? OTP all the way - they had me constantly smiling and grinning the whole read. Y'all know I love Thorne. He's one of the best parts about Scarlet. And in Cress? He really gets to shine. Big chunks of this story are about this devil-may-care, carefree rouge showing his true colors - that of a really loyal, really caring, and kind of self deprecating person. Now, Cress has the most POVs and plot-lines to date in the series - we had Cress, the occasional Thorne, Cinder, Kai, Scarlet, the Doc, Mira... That's a lot. And while I can definitely say it's incredibly well done and weaves together seamlessly, it was also the drawback of this book to me. Now. I gotta mention The best part of this novel by a landslide... Iko! This android needs her own talk show. Shine, my bright star, shine! P.S - Wolf. My sweet child. Let me hug you. You're killing me here! Cannot wait to Winter! We got a slight taste of Winter in this novel, and I for one want more!